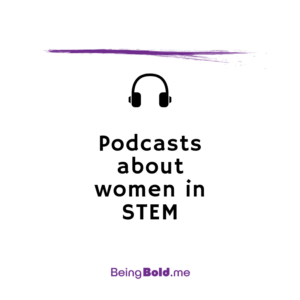 5 Women in STEM Podcasts! While we’re writing and recording podcast episodes as fast as we can, there are so many amazing people out there! Here’s a list of 5 podcasts that interview women working in STEM fields. Kid Inventor: Ellie Skalla, Invented the game Galactiquest! Statue of Jane Austen coming to Bath! On this day in history: Women in Wyoming Territory Get the Vote! ©2018 Being Bold, LLC. All rights reserved.